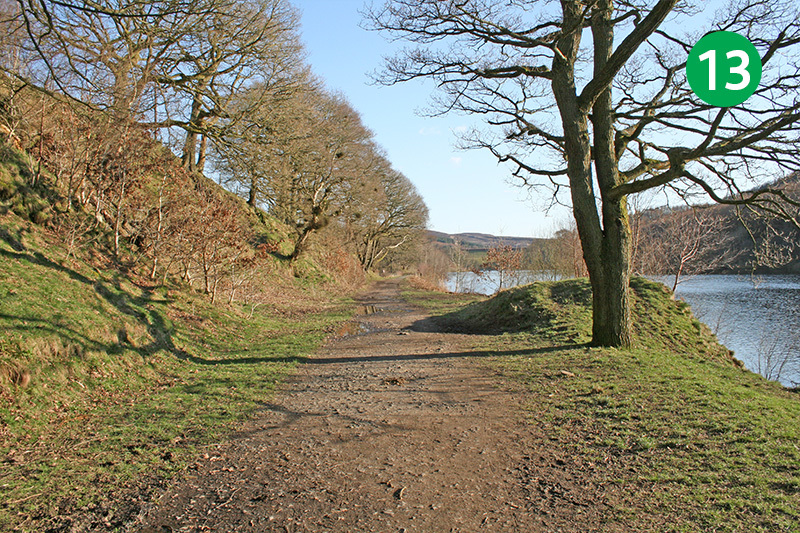 This easy, four mile stroll around Fernilee Reservoir was recorded at the end of March, just as the leaves were beginning to appear. The two sides of the reservoir are very different. 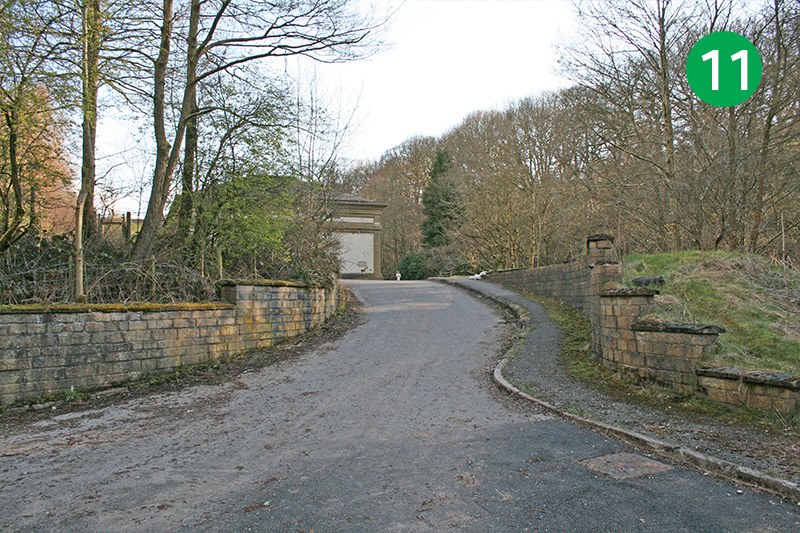 The western path is through woodland, and the opposite side along a disused railway track. It’s possible to slightly shorten this walk by simply crossing the dam wall at the northern end of the reservoir. 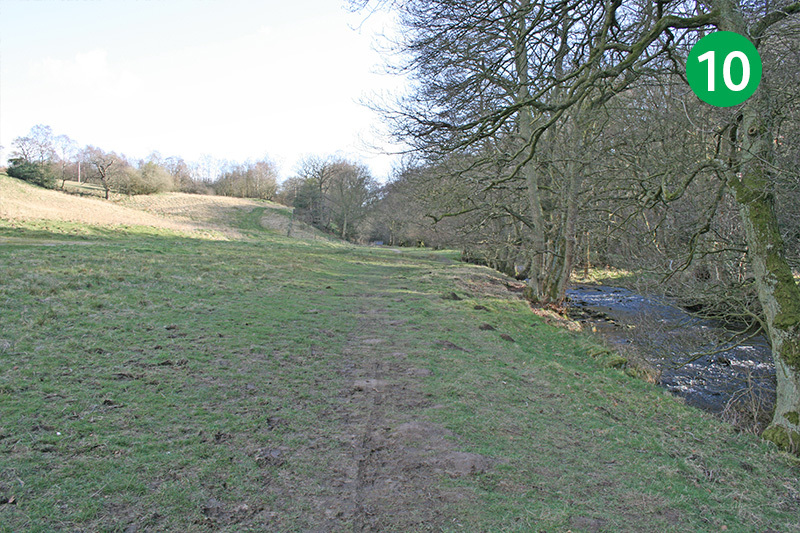 But I prefer to go a little further, crossing the Goyt about half a mile down stream. 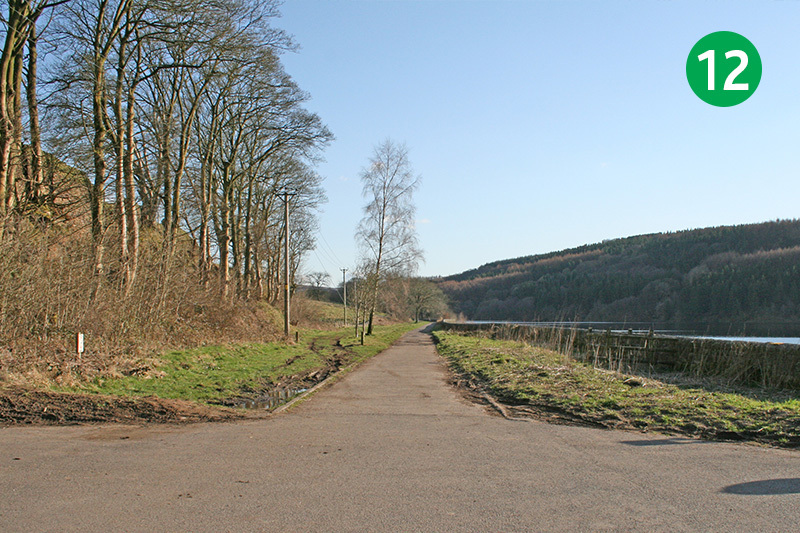 The return path along the river bank reveals the picturesque scenery which was lost forever following the construction of the twin reservoirs. 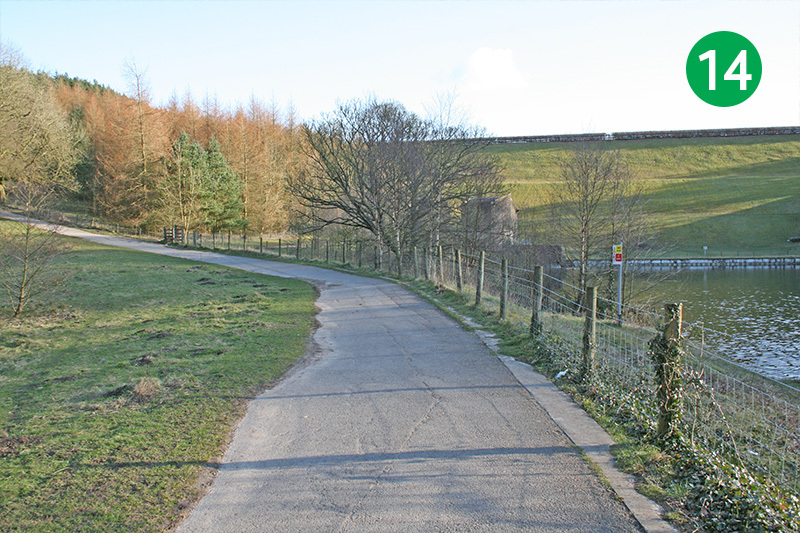 1: From the main car park between Errwood and Fernilee Reservoirs, head diagonally left, following the sign to Fernilee Reservoir. 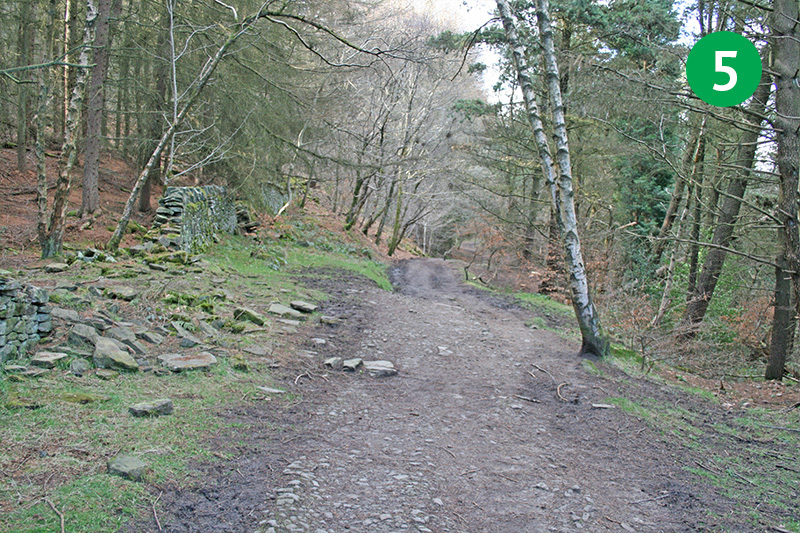 3: Follow the obvious track down the slope, passing through two small gates. 3: Turn left when you reach the shoreline path. 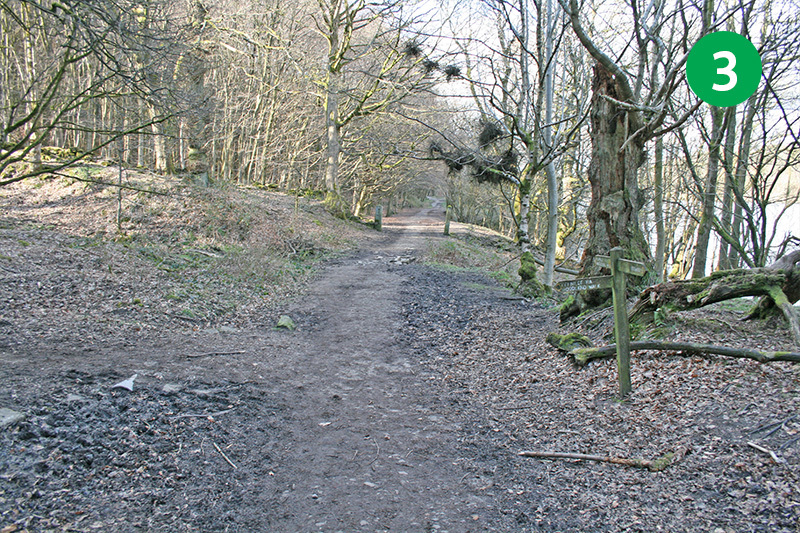 You could turn left up the slope after a short distance, following the sign ‘Woodland Walk’. If you go this route, simply turn right when you reach the top to rejoin this walk. But to follow the map, keep along the level track. 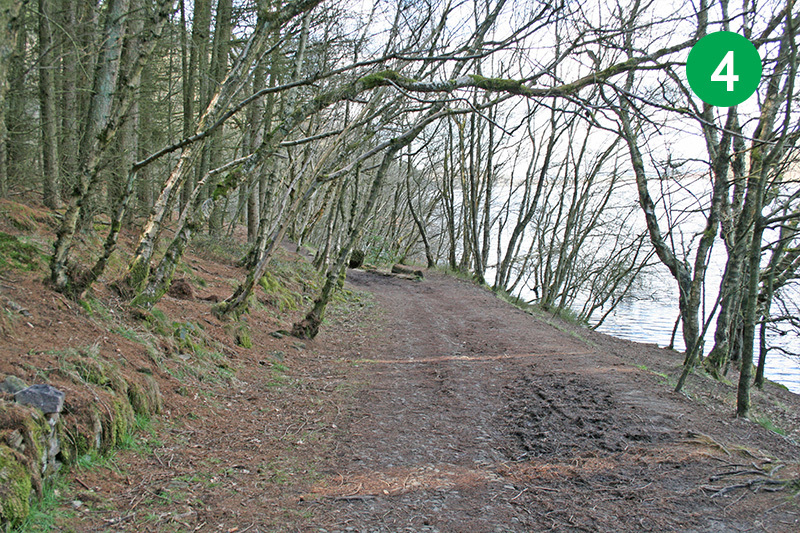 4: There are a number of benches on the right of the shoreline path which provide great views across the reservoir. 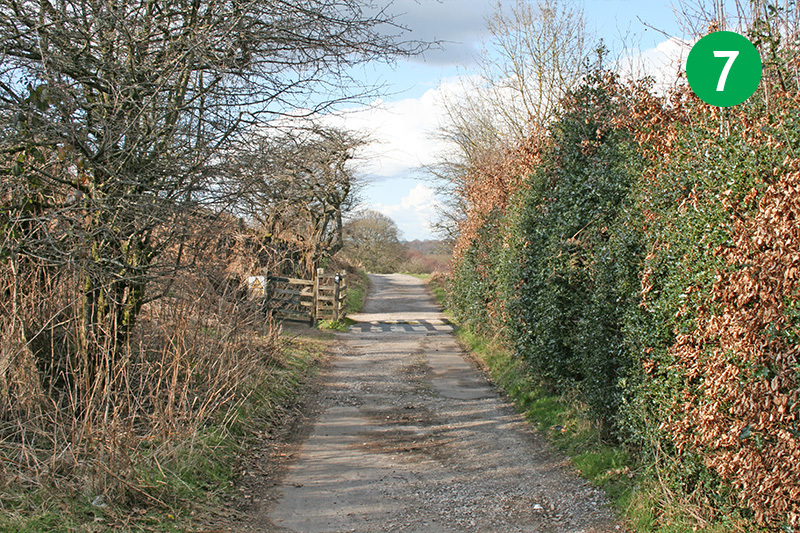 6: At the end of the path, go through a gate and turn right along the narrow road. 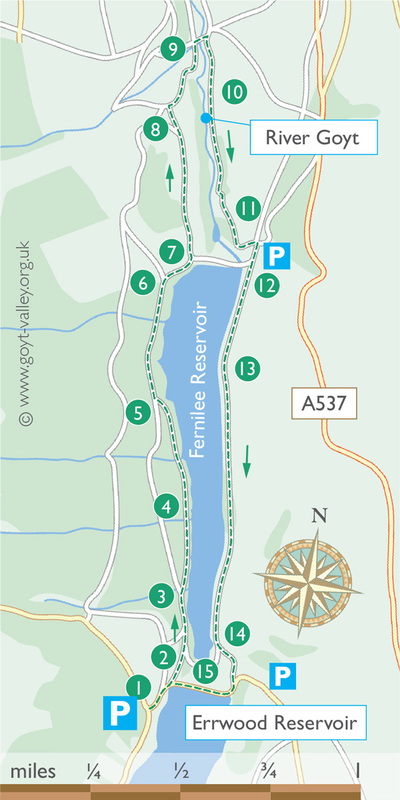 7: You soon reach the northern end of Fernilee Reservoir. To shorten the walk, cross the dam wall and turn right along the far shore of the reservoir. But to continue this walk, take the narrow road in the same direction, along a farm track. 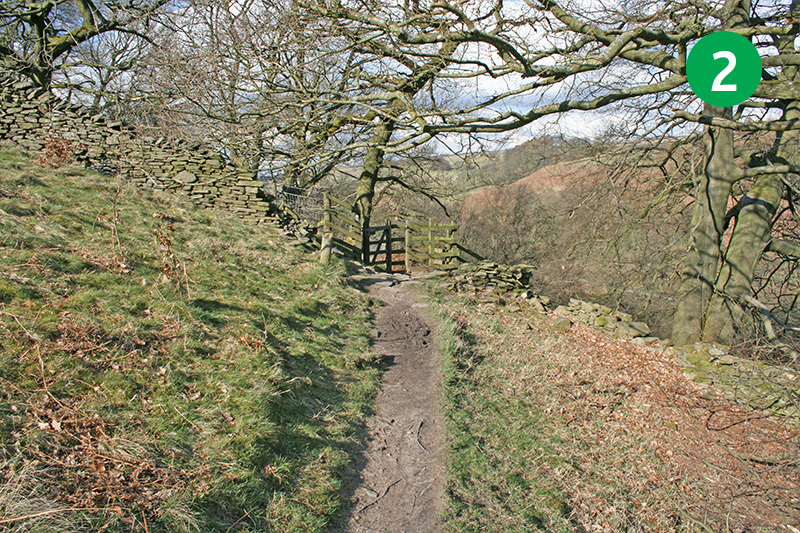 8: At the end of the track, look out for a small gate in the stone wall on your right. Go through here and head diagonally left down the slope. 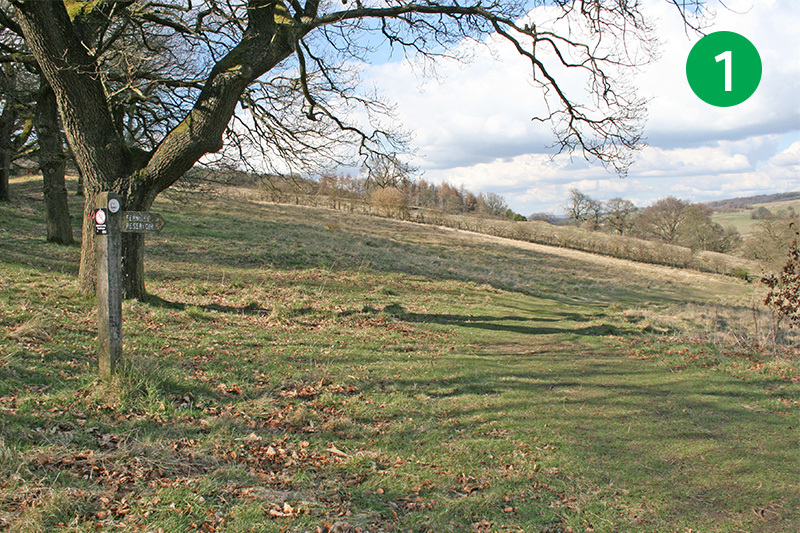 9: Go through a farm gate at the end of the field, and then follow the track as it winds first to the right and then to the left, down the slope. 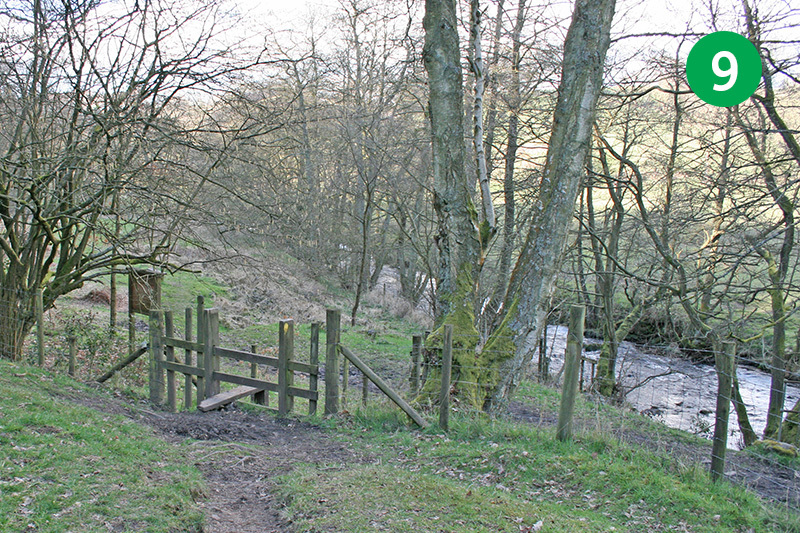 Go over a small footbridge and then a stile, and cross the concrete bridge over the Goyt. 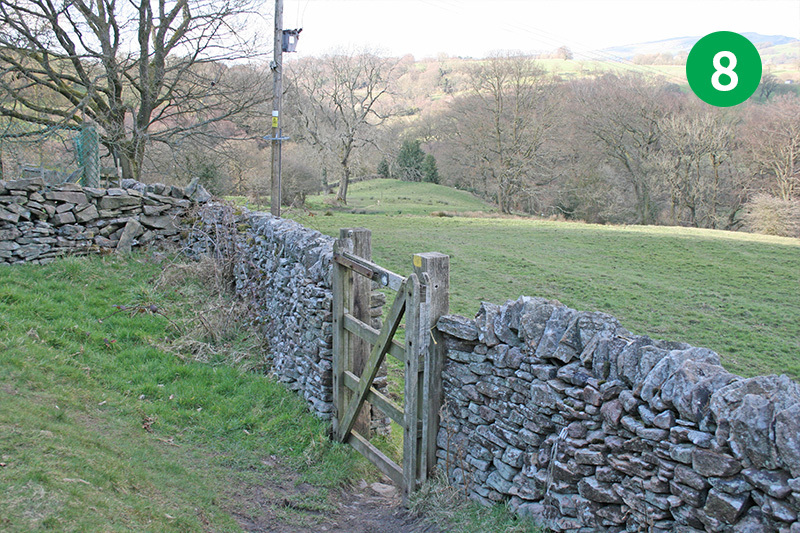 10: Head right, keeping the Goyt on your right, and follow the path through a series of gates. The views here reveal the natural beauty lost following the construction of the twin reservoirs. This magical scenery extended all the way though the lost village of Goyt’s Bridge, and eventually to Derbyshire Bridge. 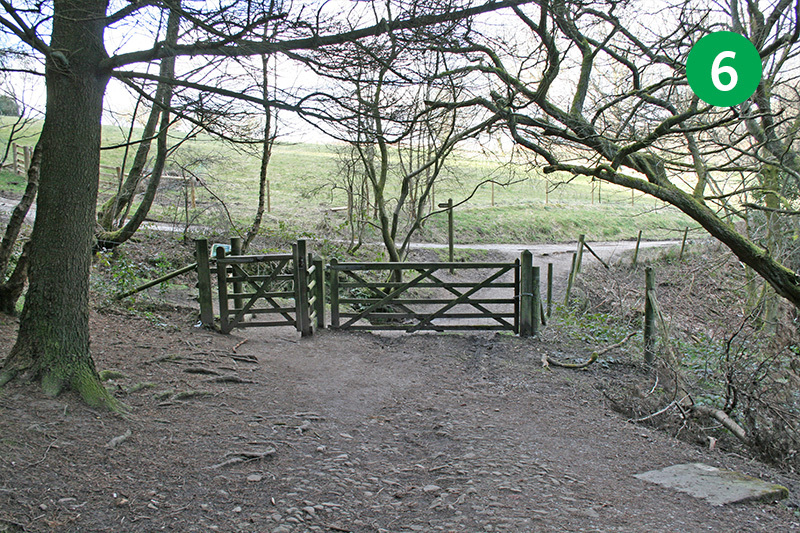 14: Go through a metal gate at the end of the path and follow the wider track as it winds up the slope. 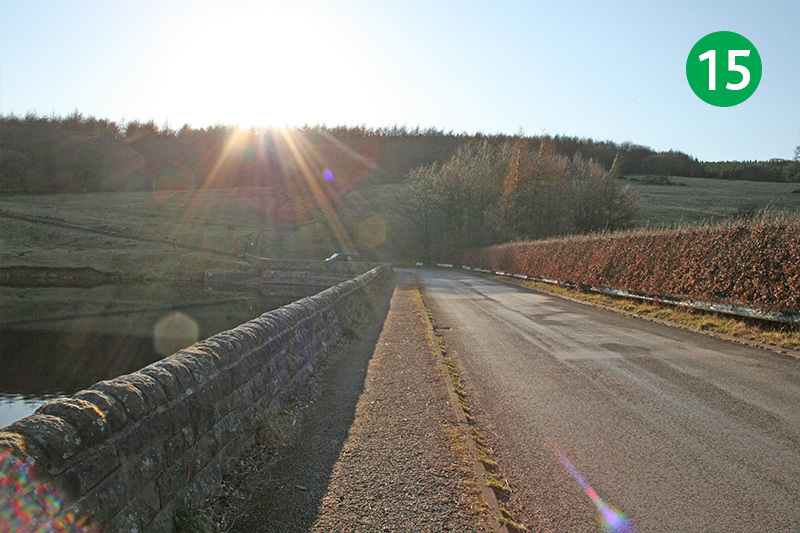 1: Turn right and follow the road over the dam wall separating the twin reservoirs. The main car park is straight ahead.